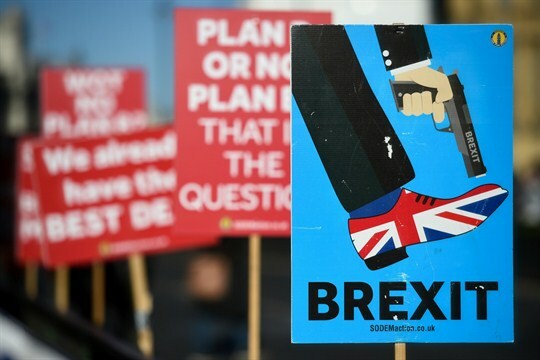 Anti-Brexit campaigners’ placards outside Parliament, London, Jan. 28, 2019 (Photo by Kirsty O’Connor for EMPPL PA Wire via AP Images). In this week’s editors’ discussion episode of Trend Lines, WPR’s editor-in-chief Judah Grunstein, managing editor Frederick Deknatel and associate editor Elliot Waldman look at British Prime Minister Theresa May’s latest Brexit setback, the Trump administration’s latest policy shift on Israel, and the United Nations Security Council’s latest report on North Korea sanctions noncompliance. Is Pakistan Finally Getting Serious About Cracking Down on Violent Extremists?